A best selling author inspires us not only to talk to God but to listen to the "still, small voice of God" within us. 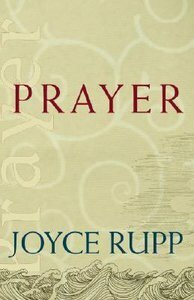 Joyce Rupp opens up the scriptures that teach us how to pray and applies them to our daily lives. She encourages us "to pray always" through an awareness of God "in whom we live and move and have our being." Filled with personal experiences, erxamples, and life-lessons, "Prayer" is spiritual reading at its best for Christians of all denominations.